On Monday, September 8, 2008, Christendom College’s former Athletics Director Thomas S. Vander Woude passed away. Vander Woude’s son, Josie, fell into a septic tank when the cover collapsed on their family farm. Vander Woude jumped in to save him and drowned in the tank while holding his son's head above the level of the contents of the tank. Josie survived after being cared for at Prince William Hospital. "Tom Vander Woude was a great man, a devout Roman Catholic, and great friend of the college," said College President Timothy O’Donnell. "He sent his children here and made an incredible contribution to not only our athletics program, but also to the larger life of the community here. Our hearts go out to his family at this time. He will be deeply missed." Christendom College offered Mass on September 9 at 11:30 a.m. for the repose of the soul of VanderWoude and for the consolation of the VanderWoude family. Vander Woude, 66, left behind his wife, Mary Ellen, and seven sons, Tom, Steve, Bob, Danny, Chris, Pat, and Josie. Vander Woude served as Christendom’s Athletics Director for five years, until last year when his son Christopher took over the position. Eternal rest grant unto Tom, O Lord, and let perpetual light shine upon him. May his soul and the souls of all the faithful departed rest in peace. Amen. 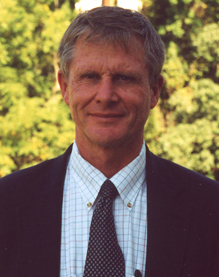 Each fall, the Christendom College Athletic Department awards an in-coming freshman scholar-athlete the Thomas S. Vander Woude Memorial Scholarship, named in memory of the former Athletic Director, Thomas S. Vander Woude. The Thomas S. Vander Woude Memorial Scholarship rewards these freshman for their athletic ability and emphasizes that these individuals strive to develop and show Christ-like leadership and heartless service through sports, in the classroom and on campus. 2 to 3 Athletes are awarded the Thomas S. Vander Woude Scholarship every year. Winners are required to uphold Student Life policies and maintain a 3.0 GPA per semester. In an effort to raise funds for the scholarship, Christendom's Athletic Department hosts the annual Thomas S. Vander Woude Memorial Golf Tournament at the Blue Ridge Shadows Golf Club in Front Royal, Virginia. Ranked as the 3rd best golf course in Virginia, Blue Ridge Shadows provides nearly 100 players with the opportunity to raise money for this worthy cause while enjoying a great game of golf in the beautiful Shenandoah Valley.